I’ve always loved the movies. As a child, I dreamed of directing films. Obviously that didn’t work out. Nonetheless, I’ve seen hundreds of them. Many, like the current release “A Quiet Place,” have been wonderful: an unexpected mix of great cast and directing, terrific science fiction scares, and the powerful beauty of family love. Others, not so much. But one of the most striking films I remember is “Wings of Desire” (1987), the story of an angel in Berlin who chooses to become mortal to experience human love. Impressed by the encyclical Laudato Sì on the environment, and encouraged by a priest friend, Wenders embarked on a documentary of Pope Francis’ papal ministry and thought. The result – “A Man of His Word” – will be in theaters on May 18 from Focus Features. At this point in his career, Wenders is at the top of his craft, and it shows in the beauty and excellence of this production. He focuses compellingly on the Pope’s concern for the environment, the poor, and immigrants. He also captures the Pope’s vigorous commitment to marriage, the family, and the complementarity of men and women, a fact we witnessed firsthand here in Philadelphia during the World Meeting of Families 2015. The most absorbing moments in the film, not surprisingly, are spent with Francis himself visiting immigrants, the poor, the sick, the Shoah memorial Yad Vashem in Israel, and the Western Wall in Jerusalem. Wenders weaves an ongoing, intimate, one-on-one interview with the Pope throughout the film. It’s a hugely effective technique; one has a sense that Francis is looking directly at, speaking directly to, the individual viewer. But the technique only works because Francis himself is an appealing presence who does well in exactly such an environment. The Pope expresses himself simply and persuasively on a wide range of issues: the dignity of work; the importance of poverty both as a call to service and a discipline for authentic Christian life; the need to make time for rest and worship; the negative impact of macho and feminist ideologies; and the urgency for all of us to be “apostles of the ear,” i.e., persons who learn to listen well. The documentary, while strong, would have been even stronger with tighter editing. It’s too long by 30 minutes. Its portrait of Francis of Assisi, while useful to the narrative, is selective and only lightly acquainted with the real saint, who was a complex and formidable man concerned for Creation as a reflection of God’s glory, not as a limited natural resource. Wenders also misses (or avoids) the opportunity to present the holistic Catholic vision of human dignity that Francis serves, i.e., the reason why Catholic concerns for the unborn child, the disabled, the elderly, the environment, and the immigrant are inextricably linked in a network of priorities. These concerns, though, subtract nothing of substance from the beauty and impact of the film. I urge everyone who reads this column to see it. Wenders and Focus Features (and the Holy Father himself) deserve our gratitude for offering the world such an exceptional encounter with the Successor of Peter. May it touch thousands of hearts. Kitty, you wrote: “Humanae Vitae is presently in his crosshairs.” Where did you get that information? I was not planning to see this movie but will make a point of it after reading your comments. Thank you for your positive outlook which always helps me to discern where my own thoughts come from and how sometimes they need to be corrected. God bless. I don’t like the POTUS communicating via Twitter. 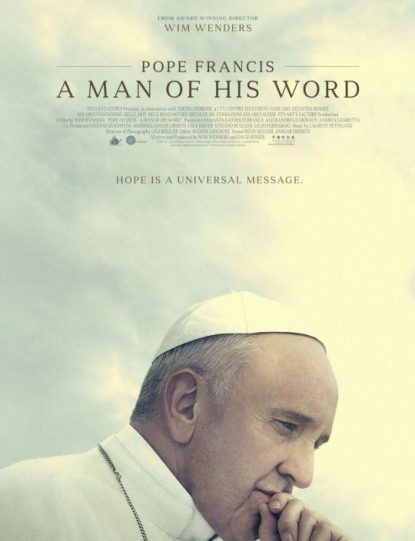 I dislike it more to know the leader of the Catholic nation is STARRING in a movie. We are asked to not support abortion, LGBT rights, etc… I don’t think our Pope should be an ACTOR, it feels like he is ACTING in life. Some of his words have had an impact directing some decisions in America. Where are the proceeds going? I have no intention of paying to see the leader of the Catholic nation on the big screen. The comment that it appears he is looking at people right in the eye is an example of his ACTING skills. No thank you, I will pass on this one. Thank You Bishop Chaput for taking time out of your busy schedule to advise us of the film on Pope Francis. With all due respect, Archbishop Chaput, I won’t watch this piece of propaganda. Humanae Vitae is presently in his crosshairs. Courage! 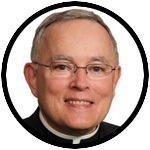 Archbishop Chaput. Thank you for this wonderful review of a wonderful film. Pope Francis has certainly made his footprint in this world for the betterment of the human condition and reminding all of us to cultivate healthy and helpful relationships with each other. When you retire, you may have time then to do some directing. Have good day.